September 23, 2014 – The Ball Aerospace & Technologies Corp. planet hunting K2 mission has successfully completed its first official set of science observations . The Kepler science team is processing and preparing the data from Campaign 1, which are scheduled to be delivered to the public at the Mikulski Archive for Space Telescopes (MAST) in November. Ball Aerospace is currently teamed with the NASA Ames Research Center to continue Kepler’s search for exoplanets and to observe notable star clusters, young and old stars, active galaxies and supernovae. K2 observes target fields along the ecliptic plane, the orbital path of planets in our solar system, for approximately 75-day campaigns. The Kepler space telescope was launched in 2009, but after the loss of a second spacecraft reaction wheel in May 2013, effective data collection came to an end. All of Kepler’s other assets remained intact, however, and engineers devised a clever solution to manage the sun’s radiation pressure and limit its effect on the spacecraft pointing. The approach uses photon pressure from the sunlight to maintain stability for long time-series observations. The conception illustration depicts how solar pressure can be used to balance NASA’s Kepler spacecraft, keeping the space telescope stable enough to continue monitoring distant stars in search of transiting planets. Since Kepler’s launch, a team of 20 University of Colorado students and 16 Laboratory for Atmospheric and Space Physics (LASP) professionals have controlled the spacecraft from the LASP Mission Operations Center. The LASP operations team was instrumental in conducting verification demonstrations of the novel K2 approach. “Despite the significant issues with the reaction wheels, we knew that we could squeeze more out of the spacecraft and instrument. I’m very proud of our students and staff. Only through their hard work and dedication was this possible,” said Bill Possel, Director of Mission Operations and Data Systems at LASP. Based on a recommendation from NASA’s 2014 Senior Review of its operating missions, the planet hunting Kepler space telescope received funding for a 2-year extension to operate in its new two-wheel mode. This past spring the team performed an end-to-end shakedown of spacecraft operations and performance in the new two-wheel K2 mode. While this was primarily an engineering test, science observations were made on approximately 8,000 targets, including the open star cluster Messier 35 and the compact open star cluster NGC 2158, both in the constellation Gemini. Coined “Campaign 0,” these data were delivered to the public archive at MAST on Monday, September 8. Campaign 1 began in May and targeted more than 12,000 stars for exoplanet transit searches, as well as young and old star clusters and galaxies. The latter are being examined for black hole accretion activity or supernovae. On August 23, the K2 mission began its second campaign. 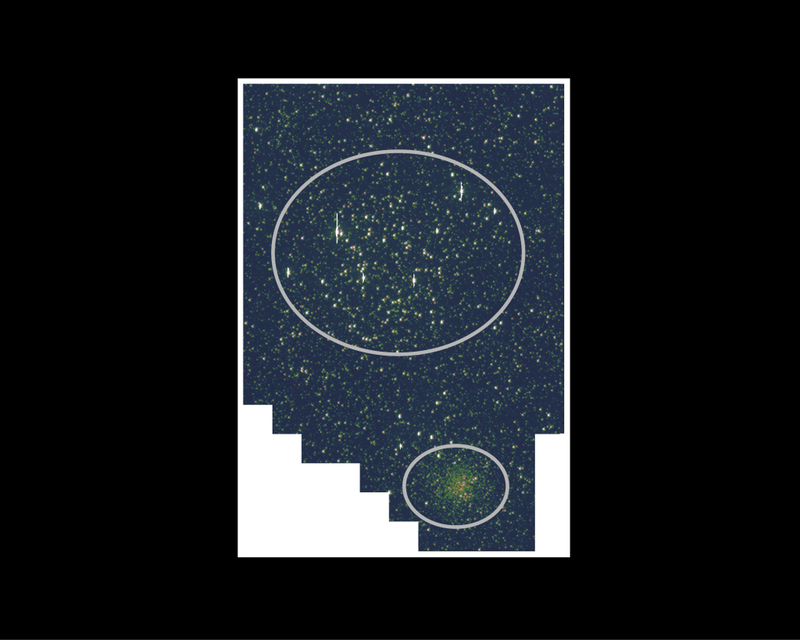 The Campaign 2 field of view includes the globular star clusters M4 and M80 in the constellation of Scorpius, the very dense star-forming region Rho Ophiuchi, along with 17,000 target stars that can be searched for exoplanets. In mid-October, Comet Siding Spring will be observed for approximately 77 hours as it passes through Kepler’s field of view. Many other NASA missions also will be pointed toward the comet. Mars also passes through the field of view, but is too bright to be observed. The campaign is scheduled to conclude on November 11, and will be the first K2 campaign to go from start to finish without a break in the middle. The team is now accepting target proposals for Campaigns 4 and 5. Meanwhile, the spacecraft continues to deliver robust performance in its two-wheel K2 mode. In early August, a reassessment of the fuel usage increased the expected life of the spacecraft by 25 percent. At the current burn rate, the onboard fuel reserves are now expected to last until late 2017, and perhaps beyond. Last week the spacecraft weathered the effects of a large solar flare. 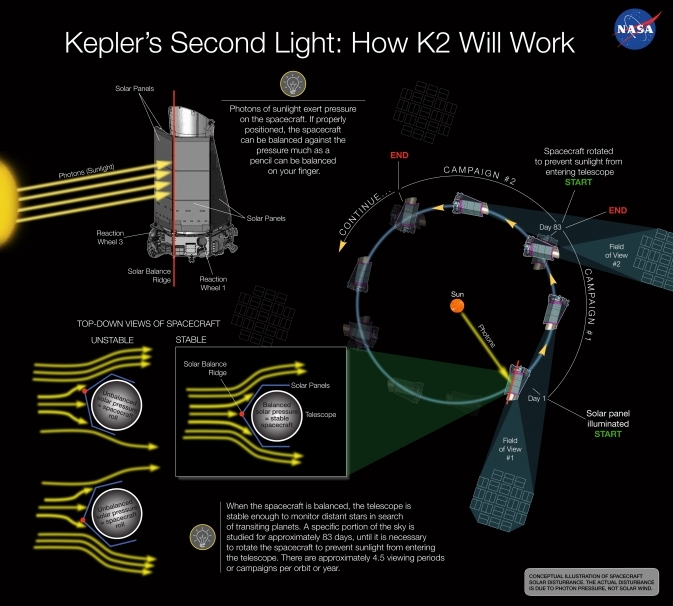 Despite ongoing K2 operations, the bulk of the mission science focus remains on finalizing the data processing and products for the formal Kepler mission. Two more releases of the data processing pipeline are scheduled that will include enhancements to increase the sensitivity to small planets in long-period orbits, similar to Earth, and determine their frequency in the galaxy– Kepler’s primary objective. The original Kepler mission conducted a survey of approximately 150,000 stars in the Milky Way galaxy for Earth-sized planets with the potential to support life. Kepler revealed orbiting planets in multiple-planet systems much like our own solar system. To date, the Kepler Science Team has confirmed nearly 1,000 planets and has identified nearly 4,000 others as planet candidates, awaiting validation. The Kepler team continues to analyze four years of collected data, anticipating still more discoveries within the data. Under the extended K2 mission, LASP will continue to provide students with hands-on spacecraft mission operations experience. Ball Aerospace is the Kepler mission prime contractor, which includes responsibility for the photometer, spacecraft, system integration and testing, and operation of the spacecraft on orbit. The K2 mission will help pave the way for future missions like the James Webb Space Telescope, for which Ball is the principal optical subcontractor.